오늘은 하와이에서 오랜 세월 살아오신 분들을 모시고 하와이의 풍물과 삶에 대한 이야기를 나눠볼까 합니다. Aloha! My name is Eileen McFarland. I would like to introduce my mother, Harriet Amaral. Hi. My name Harriet Amaral. I’m Eileen’s mom. 아마럴 여사님은 82년 넘게 하와이의 마오이 섬에 사셨다고 합니다. I was born and raised in Maui, Wiluku, Maui, yeah. 하와이는 여덟 개의 주요 섬들과 124개의 작은 섬들로 되어 있는데요, ‘Big Island’라고도 하는 하와이 섬이 가장 크고 그 다음으로 마우이 섬, 오아후 섬이 큰 섬들입니다. 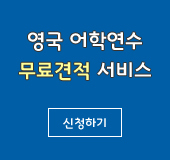 이분들은 두번째로 큰섬인 마우이 섬에서 오래 거주하신 분들입니다. 아까 이야기를 나누다보니 아마렐 여사님 뒷마당에서 낚시를 할 수 있다고 하더군요? Oh, yeah. They do. They fish right in back of my house. They go surfing in back of my house, too. Dive, yeah, they spear for fish. It can be a greeting, goodbye, it has many meanings. I love you. Hello. Usually when there is a wedding, somebody gets married, they have a luau. ‘luau’라는 것은 하와이의 파티, 또는 축제를 말하지요. Yes, luau is a traditional Hawaiian festival. Luau in Hawaii is a festival that we celebrate people’s weddings, births, birthdays. And normally it consists of many people, it could consist of 100, 200, 600 people. Many different kind of foods: we have the Kalua Pig. We have the Lomi Lomi Salmon. We have chicken long rice. We have the famous Hawaiian Poi. Cooking under the ground. The whole pig they put under the ground, they put stones and they make the stones real hot. And they put tealeaves, banana leave and tea leaves. They lay them on the stones and put the pig on top of that. And they cover the pig with burlap bags. And then they throw the dirt on top and cover it up and let it cook under ground. That’s usually overnight, they leave it many hours. 전통 방식의 하와이 요리법으로 요리한 돼지고기가 ‘Kalua pig’입니다. Lomi Lomi Salmon은 신선한 연어를 양파, 토마토 등으로 만든 소스를 가지고 만든 요리입니다. That is cooked with, made with fresh salmon, onions, tomatoes made into a sauce. Chicken long rice is cooked with chicken in a sauce, soy sauce, different spices, made with what you call the glass noodle. * Chicken long rice: 닭고기를 넣은 당면 요리. ‘Long rice’는 당면. * Hawaiian poi: 토란뿌리를 삶거나 구워서 으깨어 만든 죽 같은 음식. Luau is the traditional Hawaiian festival. 그리고 또 다른 풍습이나 문화는 어떤 것이 있을까요? We had a lot of parties. We celebrate you know all the big events in Hawaii. Kamehameha Day. He was the king. King Kamehameha, many many years ago when it was not part of the United States. .
* Kamehameha Day: 매년 6월 11일에 기념하는 기념일. Kamehameha 5세가 1871년에 하와이 통일 왕국 건설자인 Kamehameha 1세(1740-1758)를 기려 만든 하와이의 공휴일. 자연 속에서 사는 추억도 많았을 것 같군요? I have five brothers and two other sisters, come from a very big family. We did a lot of camping on the ocean, fishing. We spent a lot of time in the mountains. My father was a hunter. Of course we spent a lot of time hiking, and going through the mountains. 캠핑할 때 주로 뭘 했나요? We swam. We did whatever, play games. We had really a great time, catch fish, catch crabs. We cooked everything at the beach on a fire that we made. Yes, we did. We roasted marshmallows. Yes, that was a fun thing to do, roasting marshmallows. While camping we roasted marshmallows over the campfire. 웰컴투아메리카 오늘은 하와이가 고향인 두 분을 모시고 하와이에 대한 이야기를 들어봤습니다. 지금까지 저 박형권이었고요 초대 손님 ‘Ms. Amaral’, ‘Ms. McFarland’와 함께 했습니다. 다음 주 이 시간 다시 찾아뵐 때까지 행복한 한 주일 보내시길 바랍니니다. 안녕히 계십시오.